Netclix at 3575 West Dunlap Avenue was raided on Wednesday, its owner arrested in connection with an illegal gambling operation. 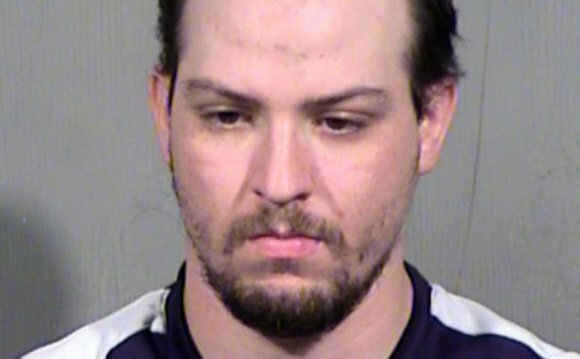 The Arizona Department of Gaming and Phoenix police raided a Phoenix Internet cafe on Wednesday, arresting the manager in connection with an illegal gambling operation. Bradley John Babinski Jr., 28, was arrested after 1 p.m. Wednesday following an investigation of Netclix Internet Cafe at 3575 West Dunlap Avenue where undercover officers observed illegal activity on several visits. Several other people were arrested during the raid on unrelated warrants or drug charges. Wednesday's raid also followed a May 24 robbery of the cafe that is still unsolved. In that case, police told one news outlet that "it was an odd place to hold up." Phoenix Police Sergeant Derek Elmore told Fox 10 News (KSAZ-TV) that the robber possibly "had some inside knowledge about what kind of money they had on hand there . . . or what kind of money they produce on hand . . . or maybe he's a former employee." Whoever committed the robbery, the crime seems to put the cafe on the state gaming department's radar. On June 10, gaming inspectors checked out Netclix and served Babinski with a notice that his business was conducting illegal gaming. After that, undercover officers went into Netclix on June 15, 16, and 18 and reportedly observed that the illegal activity was continuing. Numerous computers and other evidence was seized during Wednesday's raid, effectively shutting down the business for now. Customers of Netclix would pay the employee on duty to purchase Internet time, records state. "The Internet time is used to play casino games and sweepstakes, " says Babinski's booking sheet. "These games pay out money for winnings. Thus the customer pays money to play unregulated games with the expectation of winning money." This still-unidentified man robbed Netclix on May 24, making off with a substantial amount of cash. Now, maybe you're thinking, "do they mean an unregulated game for prizes like the upcoming U.S. Open Chess Championship?" We know poker advocate John Schnaubelt must be wondering that. But following a formal complaint last month by Schnaubelt about the chess match, in which players buy in for the chance of receiving cash prizes, the gaming department decided to do nothing. Amanda Jacinto of the gaming department told New Times for our June 15 article on Schnaubelt's attempted trouble-making that her agency believes the 116th annual chess event "doesn't rise to a level where it needs an investigation."